Through 6/9, head to CVS where you can score select Dove Chocolates for just $0.99 (reg. $4.99). They are currently on sale for $2.99 and buy 1 get $1 Extra Care Bucks. 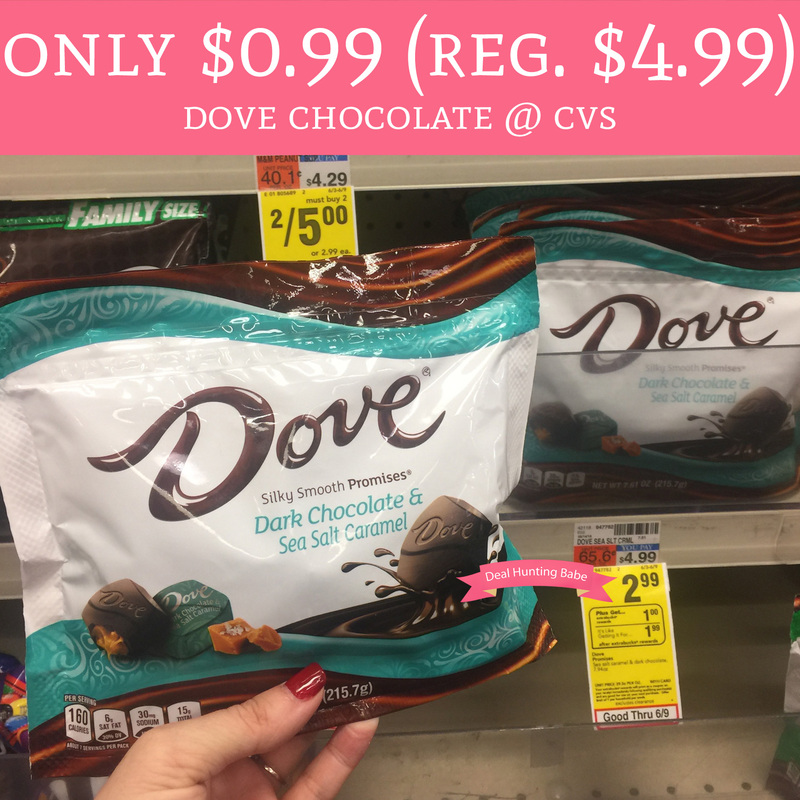 Plus, we have a $1/1 Dove Silky Smooth Promises Chocolate coupon found in the 5/6 Retail Me Not insert to make a bag just $0.99, down from $4.99, sweet!